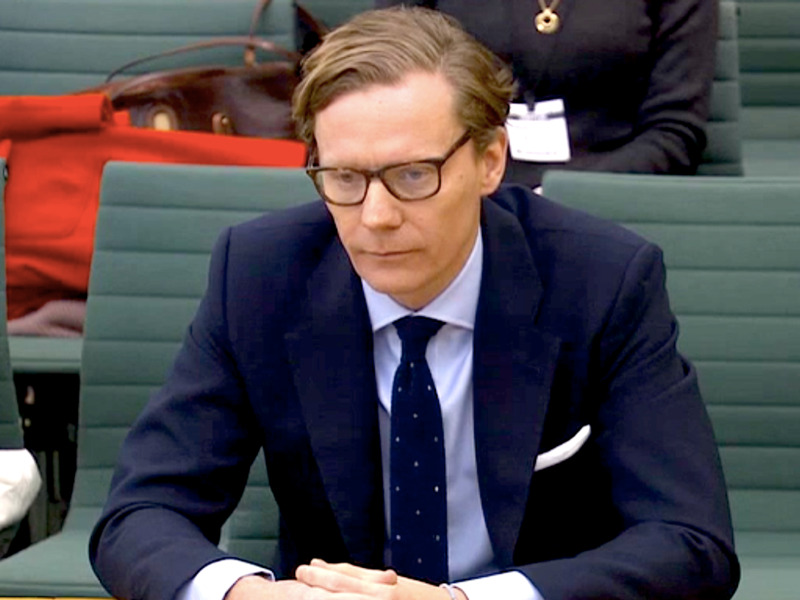 Parliament TVFormer Cambridge Analytica CEO Alexander Nix. A leaked email obtained by The Guardian shows former Cambridge Analytica CEO Alexander Nix used the n-word to refer to the Prime Minister of Barbados Mia Mottley, as well as its Information Minister Lucille Moe. Moe told The Guardian that SCL, the company which birthed Cambridge Analytica, offered its services to the Barbados Labour Party but it declined. The Guardian also reports that Nix has been actively trying to get back into campaigning in the Caribbean. Nix previously worked for Cambridge Analytica’s parent company SCL Elections. Both companies shut down earlier this year after the news of the Cambridge Analytica data harvesting scandal broke. In emails seen by The Guardian dating to October 2010, Nix appears to refer to current prime minister of Barbados Mia Mottley and current information minister Senator Lucille Moe. SCL was pitching itself to Mottley and Moe, who were in opposition at the time. Senator Moe told The Guardian that SCL had indeed contacted the Barbados Labour party to offer its services. “We were not comfortable working with them so we took a decision not to engage their services,” she said in an emailed statement. The Guardian also reports that Nix is still trying to win customers in the Caribbean. An unnamed senior source from the Saint Kitts and Nevis Labour party told The Guardian that last month Nix offered to manage its next campaign. “Nix said although the company has been changed, the people who work there are the same and so they were available to provide services in campaign management,” the source said. The party reportedly did not take him up on the offer. SCL worked for the St Kitts Labour party twice, in 2010 and 2015. The 2010 campaign was successful, but the 2015 one was not. Nix also reportedly did not give the name of this new company. In May of this year, founder of SCL Nigel Oakes affirmed that the company would not be rebranded. Business Insider attempted to contact Nix through a LinkedIn profile matching his name and past work experience, but has not heard back yet.